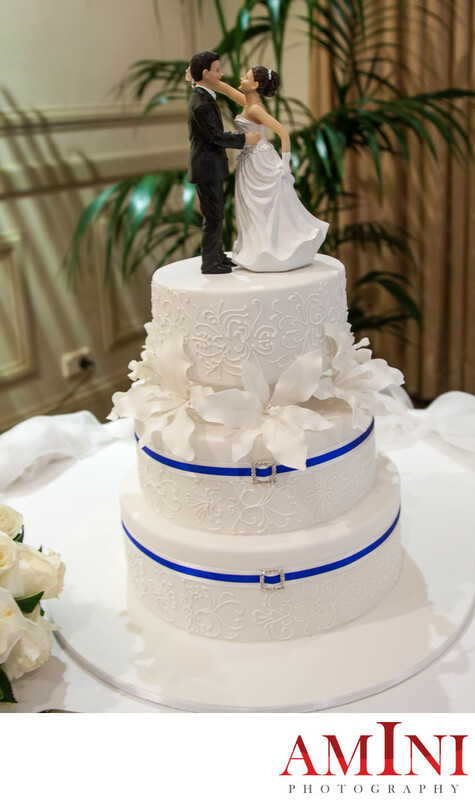 This is one of my favourite wedding cake shots with a beautiful bride and groom figurine at the top of the cake, and was taken just after our beach photo shoot at Sydney’s Balmoral Beach. I have to admit, I love beach weddings and few would argue that Balmoral is the best beach in Sydney for wedding photos. On the day, we had around 60 min at the beach and under famous rotunda, where I took some great shots, and went to reception right after the Beach wedding shoot. People often ask for my advice as where is the best wedding photo location in Sydney and although there are plenty of beautiful spots for photo shoot, my answer always include “Balmoral Beach”. If you need any more information on Sydney’s top photo spots, or looking to hire an experienced wedding photographer who knows the best photo locations in and around Balmoral Beach, rich out for a complimentary information/consultation session.